The information presented on this page was originally released on April 14, 2003. It may not be outdated, but please search our site for more current information. If you plan to quote or reference this information in a publication, please check with the Extension specialist or author before proceeding. Americans have been showing their colors a lot since the terrorist attacks of Sept. 11, 2001, and the current conflict is motivating even more. Flowers can be part of the waving of the red, white and blue. You may want to think of these floral displays as the victory gardens of the new war on terrorism. In World War II, victory gardens helped meet the needs of rationed goods. In many ways, Americans need to express pride in our country much like our parents and grandparents needed the staples of life from their victory gardens. A summer display of red, white and blue is easy to develop either in the garden or in a container. New choices in angelonias, petunias, salvias and torenias will make it easy and fun. They also add a dash of patriotism at a time when the country is trying to make the world a better place for future generations. Garden centers are well stocked with a great selection the high quality bedding plants ready to transform your landscape into a showy garden. 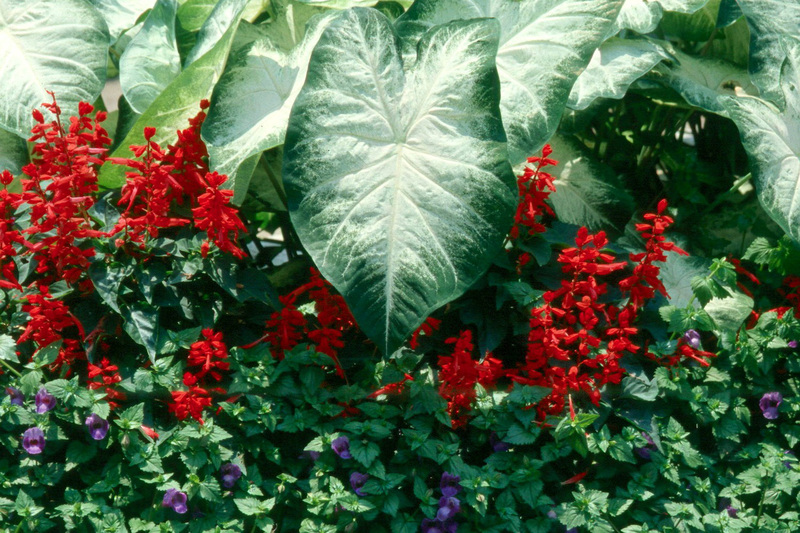 If you think the red white and blue would be something your interested in then why not consider a combination planting like White Christmas caladiums, Vista Red salvia and Summer Wave blue torenia. This would be an exceptional garden, in those areas receiving morning sun and afternoon shade. For those areas receiving more sun consider tall growing Mississippi Medallion award winning Costa Rica Blue salvia with cobalt blue flowers, white Angelmist angelonias, layered downward to the Vista Red Salvias. There are a lot of new petunias this year like Ultra Red, White and Storm Blue and Red. These petunias have deep dark saturated colors giving a great landscape impact. The Waves series introduces Blue Wave this year with the same prostrate growth habit as purple wave and the same unbeatable performance. In fact it is a 2003 All America Selections Winner. Look also for perennial verbenas in these patriotic colors. The Tukana, Aztec and Tapien series offer some of the richest colors coupled with superior flower power. One other option would be to include a blue or red gazing globe in the place of that particular color of flower. 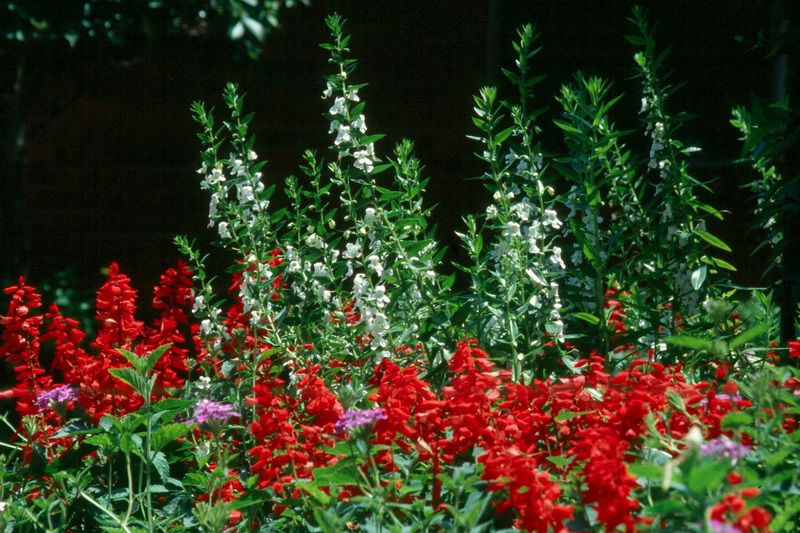 In other words, blue gazing globe, red salvias and white verbenas, or some combination that appeals to you. Don't forget the gazing globe was a symbol during the depression that we would come out of the financial crisis. Prepare the bed before planting the red, white and blue garden. Purchase landscape soil mixes by the bag, cubic yard or truck full. When you look at the price by the cubic yard, you'll see it is a small price to pay for the key ingredient that will give you the green thumb. Most gardeners I talk to are plagued with a tight clay soil. Clay particles are the smallest of all soils. Because of their small size, they are easier to compact, keeping out not only water but also air. Whether you want to go with a landscape mix or simply work in organic matter, your flower success starts at ground level. Good things start to happen when you incorporate organic matter like humus, compost or peat into native soil. Organic matter helps loosen the soil for better water penetration and aeration leading to good root development. 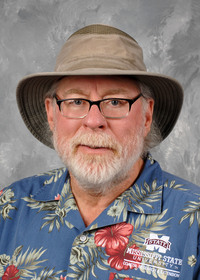 Remember that soil improvement is a continual process and the key to the green thumb may well come from how brown it gets first in soil preparation. Whether you choose to go red, white, blue or none of the above, having a beautiful landscape with summer flowers will make you feel better, your yard look better, and make a statement of your faith in the future and that God will bless America.